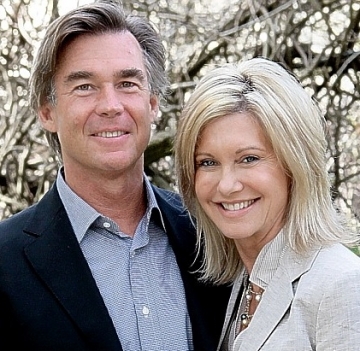 Olivia Newton-John and her husband Amazon John Easterling talk with Rob Moir on what we each can do for a greener planet and about their work to save the Amazon Rainforest. Olivia tells why the rainforest is so important. Amazon John explains the remarkable health-giving properties of the Camu-camu fruit (www.DrinkCamu.com). This indigenous fruit is harvested from shallow boats and is a source of income for local peoples. In the 2nd half, Rob talks with Bert Lettsome, a.k.a. 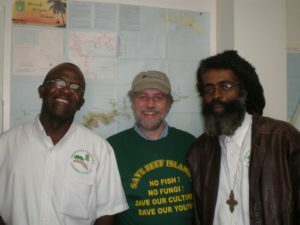 ‘Washasha X’, Chief Conservation and Fisheries Officer of the British Virgin Islands. Bert describes why nature in the British Virgin Island is more diverse than anywhere else in the Caribbean. To protect it and maintain pristine, undisturbed nature in the Virgin Islands, we must all make choices. Listen to his song “Choices.” Bert tells us why mangroves are so vital with his song “Ras Mangrove.” Bert and Rob worked with other members of the Virgin Island Environmental Council to save BVI from four star hotel, golf course and mega-yacht marina planned for their Fisheries Protected Area. Skip ahead to when Bert talks with Rob and sings about saving mangroves and saving nature in BVI.